With the release date of Eureka's UK Blu-ray and DVD of JOHN DIES AT THE END fast approaching, we talk to its director and PHANTASM series creator Don Coscarelli. The mid to late 70s was a glorious time for North American independent horror cinema. 1968 saw the release of George Romero's game-changing Night of the Living Dead, but it was arrival of Tobe Hooper's seminal The Texas Chainsaw Massacre in 1974 that really seemed to inspire the new generation of energetic and inventive American genre filmmakers. Consider what appeared in the seven years that followed: former humanities professor Wes Craven made The Last House on the Left and The Hills Have Eyes; Canadian filmmaker David Cronenberg disturbingly explored the horror of the human body with Shivers, Rabid and the autobiographical The Brood; a young John Carpenter scared us witless with Halloween; David Lynch took us to where our nightmares end with Eraserhead; Bob Clark and Sean S. Cunningham unwittingly drew up templates for slasher movies to come with Black Christmas and Friday the 13th; Sam Raimi worked miracles with the smallest of budgets on The Evil Dead; and George Romero continued to reinvent a range of horror sub-genres with The Crazies, Martin and Dawn of the Dead. 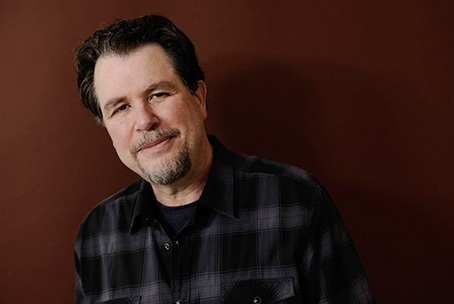 And then there was Don Coscarelli. Born in Tripoli but raised in California, his first two feature films as director – Jim, The World's Greatest and Kenny & Company (both 1976) – are still nigh-on impossible to track down in the UK. Then in 1979 he made a film that was to endear him to horror fans the world over and go on to dominate his career for the decade that followed. 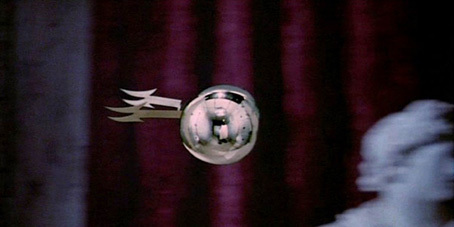 I'm talking, of course, about Phantasm, one of the most inventive and iconic genre films of its time, and one that left me dizzy with excitement on my first cinema viewing. I was at film school back then, and Phantasm was exactly the sort of movie that fired me with enthusiasm for a genre that was still being looked down on by critics and cineastes alike. It was also the sort of film that our lecturers did their best to discourage us from watching and enthusing about, which of course added to its appeal as a forbidden pleasure. If you're somehow new to the film (where have you been? ), then you can read all about it in my DVD review here. Three years later Coscarelli made the too-little-seen fantasy actioner The Beastmaster, but in 1988 he returned to his breakthrough film to deliver the high-octane sequel, Phantasm II. Its fans include writer-director and one-time Tarantino collaborator Roger Avary, who apparently based the sequence in Pulp Fiction in which Bruce Willis selects his weapon of choice on the tooling-up scene in Coscarelli's film. Two more sequels followed – Phantasm III: Lord of the Dead and Phantasm IV: Oblivion – which were hampered in their scope by their restrictive budgets but are still of considerable interest, particularly in their determination to not simply re-tread the plot and style of the original film. It has to be said, though, that Phantasm fans everywhere still mourn the news that funding could not be secured for a Roger Avary penned epic finale to the series. Things went quiet for a couple of years, during which time Coscarelli was prepping a film that was to further enhance his reputation as a creator of cult horror cinema, the hugely inventive and entertaining Bubba Ho-Tep. It's a film whose concept alone made it an absolute must-see (read my review if you want to know more) and one that became justly celebrated for Bruce Campbell's glorious performance as a grumpy and infirm Elvis. A caption at the film's end promised a sequel (or should that be prequel?) in the shape of the deliciously titled Bubba Nosferatu, which was repeatedly rumoured to be in production but was ultimately shelved when the funding fell through (do you see a recurring theme here?). In 2005 Coscarelli wrote and directed the inaugural episode of TV's Master of Horror series, but it was 2012 before his next feature film appeared, a deliriously entertaining and brain-twisting adaptation of David Wong's dimension-trip novel, John Dies at the End. This not only threw Coscarelli right back into the cult limelight, but landed him a number of new and younger fans. We'll be covering Eureka's UK Blu-ray release of John Dies at the End in the next couple of weeks, but in the meantime we were privileged to be able to talk to Don Coscarelli, who spoke to us by phone from Los Angeles about his new film, its young actors, his use of physical effects, and the increasing difficulty of getting adventurous independent films funded in the post-DVD age. I've trimmed the umms and ahhs and the odd trailed-off sentence, but have otherwise chosen to transcribe the conversation exactly as it played out. There were a couple of moments when my comically inept attempt to record the call for transcription rendered the odd word unintelligible, resulting in the occasional bit of educated guesswork on my part, aided by fellow reviewer Camus, whose ears are better than mine (he has earlobes for a start). Don Coscarelli: Oh, that's so nice of you. Thank you so much. DC: Hey, that was a great time for movies. There were a lot of good movies coming out that period. CO: Indeed. It was a great time for genre movies as well. DC: Yeah. Somehow they all rolled out at one time. You know, working on Phantasm, I had no indication on that John Carpenter was working on Halloween. I knew George Romero was making a sequel to Night of the Living Dead, I'd read about that. CO: Obviously we're here to talk about John Dies at the End, which has taken a couple of years to reach the UK. Personally I thought it was a terrific adaptation of the novel and it was more fun than any other film I saw last year. DC: Oh wow, that is so nice of you to say. I really appreciate that. CO: Can I ask you first about the problems of adapting the novel, specifically the difficulty of staying faithful to the source material whilst adapting what is quite a complex and often incident-busy book into a 99 minute feature film. I'm not just talking about the technical process of compressing and combining scenes and characters, but also the discipline required when deciding what to include and what to cut out. Were there scenes that you, as a fan of the book, wanted to include but had to sacrifice for the flow of the film? DC: Oh, many. I mean, it was a real challenge, and you know the other problem when always working in this kind of...er...it's hard to really pin exactly what genre it is. But working in the 'John Dies at the End' genre, you also have to be careful because the material is so far out there, and so strange that there are certain segments that the audience just aren't going to accept. And so you can't linger too long because a lot of folks may just tune out. So I have to keep the speed up, I have to keep the pace up, and I have to jam all this stuff in. You know, the editing took almost a year. There was some wonderful stuff that was lost and hopefully – I haven't checked on the UK Blu-ray – but I'm hoping they got those deleted scenes in there. CO: I think they are there. DC: OK, great. But yeah, that's a problem... Look, the only choice was to not make the movie, not to make the book, and I just felt there's so much great stuff that I... maybe I was overly ambitious, but I decided that I could make this work, and looking back on it that might have been crazy to attempt. But for better or for worse, the movie came out and folks seemed to like it, so that's good. 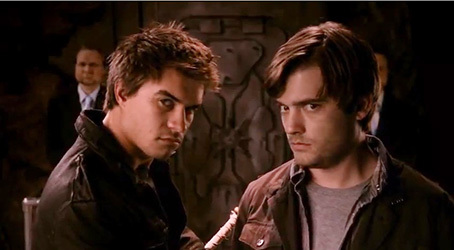 CO: Can I ask you about the casting of Chase Williamson and Rob Mayes. I thought both were great, but Chase in particular was an inspired choice. His expression of worried bemusement has become almost a poster image for the film. Every time I hear the title I think of him pulling that face that says "What's happening here?". CO: Was the decision to cast relative unknowns a deliberate one, or was it partly enforced by budgetary restraints? And how did you come to choose Chase and Rob? DC: It was one hundred per cent selected by budgetary constraints. Going into making the movie I knew that I was able to bring in some of the better actors like Giametti and Clancy Brown, but only for the smaller roles, and that I would need to find actors to carry the load who we could afford. And it's really funny looking back on it... I actually had an out clause in my contract where I had the right to abandon the movie if I was unable to find unknown actors to play those roles. That's how concerned I was. Because the movie was going to live or die by those two guys, and so the most terrifying part of making the film for me was finding them. And I just cannot tell you what a relief it was the day that Chase walked into the interview, because he sat down and I handed him a page of the narration which our main character has, and he just read that narration, and listening to it I thought this could make a really good movie with this guy narrating. And I'm so happy that you appreciate his work. I think he's terrific. It's also his first movie, he's a super-nice kid and worked hard. When I was in that editing phase, any moment of the day or night I could call him and it was like he was waiting by the phone, ready to go to work. If I needed a piece of voice work, he's "I'm on my way over!" And he was so devoted and I'm so happy to hear you say those nice things about his performance. So happy I'm going to pass them on to him! CO: One of the things that distinguishes both Bubba Ho-Tep and John Dies at the End, especially for genre fans, is your decision to use physical effects for creature creation rather than do what everyone else seems to be doing and creating them with CGI. Could you talk about the thinking behind that decision? DC: Well I'll tell you where that comes from, from watching movies and – I don't want to name names – but some of my director pals make movies and in my opinion paint themselves into corners by relying on a digital creature that they set up through the whole movie, then in the third act they actually have to show the digital creature and in my opinion the movie goes to hell at that point. They haven't got to the level yet where all digital effects work perfectly. The thing is that they're tools and you need to know where they work and where they don't work, each one of them. Practical effects don't always work and visual effects don't always work. It's a balancing act and even trying both and seeing which one is more effective. But I will tell you that there's nothing like working with a great rubber prop and seeing a wonderful actor work with it. I made Bubba Ho-Tep and I had the joy of watching both Bruce Campbell and Ossie Davis fight with a rubber mummy... [laughs] ...the highlight of my career! CO: Well for me the scene in Bubba Ho-Tep when Bruce Campbell is battling the bug in his bedroom with a bedpan is really tense, so it clearly convinced as a creature and a credible threat. DC: I'm glad to hear that, because to this day whenever a director watches his own work you wonder if certain things work or not, and so ten years on... thank you for saying that, it's good to hear. CO: In the novel there were occasional bits of exposition involving David or John's reasoning about what is actually happening, essentially throwing us a line about heightened senses and inter-dimensional crossover. Those moments seem to be largely absent from the film and I wondered if there was a conscious decision not to over-explain things and let the audience work it out for themselves, or even provide their own interpretation. DC: Well, absolutely. It's something that I learned early on, probably to the frustration of the many fans of that movie. You know, Phantasm was a movie where I didn't explain a lot about what was going on and that worked out OK, because I think the folks that liked that movie liked to think about the mystery, talk about the mystery, speculate about it, and it makes it a more immersive, longer-lasting effect, and so I think after succeeding there I'm not as afraid of not explaining everything. Let me give you a case in point. You've seen Phantasm, so you know what that's about. Well, when we were making Phantasm II, the producing company, Universal Pictures, gave me specific instructions that the audience needed to know what was happening at all times, what was going on. That's why there's that line of narration in Phantasm II where we're talking about the mystery of Phantasm and may explain it all... [adopts mock serious voice] "He's a grave robber from another dimension!" When you say it, it's ridiculous, OK? But when you don't say it... he is a grave robber from another dimension, but if you don't say that...he's mysterious, he's creepy, he's cool, you don't know what the hell he's doing. It's more of a question in your mind, you're thinking to yourself, "Is he a grave robber from another dimension?" So I firmly lean on the side of not being too explicit and giving the audience enough for them to figure it out if they want to take the time, and if they don't, well that's their problem. CO: You've talked in the past about cinematic influences on Phantasm. Were there specific influences on the look and style of John Dies at the End? I'm asking because there were times in the film where I almost felt I was watching an adaptation of a graphic novel – there were shots that I thought would work really well as comic book frames in places. Was any of that an influence? DC: Oh, of course. Listen, like all directors I watch lots and lots of movies and love many of them and emulate many of them and am influenced, and a lot of times I crib some stuff and don't even know I'm doing it. I'm not going to say there was a conscious effort to copy anybody. I know for sure that folks have made a lot of comparisons between John Dies at the End and Cronenberg's Naked Lunch. Now I'm a great Cronenberg fan and have been since back in the day, but I don't think I was deliberately trying to copy that. I think that it's just that both of the movies are just so outrageous. CO: I don't see the connection really. I think they're very different films. DC: Yeah. There's not a lot of humour in the Cronenberg film [laughs]. CO: Ten years passed between Bubba Ho-Tep and John Dies at the End. Is this an indication of the difficulty in getting interesting and original independent films funded. Or was it a deliberate decision not to make a film for ten years? DC: It was not a deliberate decision. First off I had to personally distribute Bubba Ho-Tep independently, so there was a year or two of work during that period. And I made a decision to try to mount the sequel and spent a couple of years on that and unfortunately it crashed and burned. In the middle I did that TV thing, The Masters of Horror, which was a lot of fun. And then I think it was probably 2008 I got the book of John Dies at the End, and it took me a while to get that adaptation and the funding. I will tell you making independent films, in terms of financing, has never been harder. In the United States the DVD market has gone way down, a lot less money's flowing in. I didn't realise how good we'd had it ten years ago. So it's always a challenge. But I certainly hope I should make more movies, and I'm trying to put together a couple of things now and hopefully would like to get something out faster than once every ten years, because at that rate maybe I've only got one or two more movies in me [laughs]. CO: We certainly want more movies from you. CO: This is a definite fan favourite question. You've worked repeatedly with actors Reggie Bannister and Angus Scrimm, right from Jim, The World's Greatest right at the very start. And as a result of the Phantasm films they both now have their own individual cult fan base. Reggie had a small role in Bubba Ho-Tep, Angus in John Dies at the End. Are we likely to see them reunited in a future Don Coscarelli film? DC: My sources say yes. I love those guys. One of the beauties of making Phantasm is I am lifetime friends with all of those actors, and I'm always looking for ways to work with both of them. They're terrific actors. In some way I'm responsible for getting them pigeonholed. They've got nice careers out of it, but they're both so stuck in porridge almost. I'd love to do a mainstream movie one day and give them more acting jobs but, you know... During this publicity, people keep asking me about making Phantasm Part 5. And they're still looking good, so I was actually talking with them about it. DC: I'm still working on it. It's going to be a case of getting the story worked out a little better and figuring out how to make it on the tight budgets that are available now. But I actually did see Bruce Campbell recently, and he loved that role and would love to do it again. So with luck one day we could get something going with that also. CO: That's widely regarded as one of his best performances. It's such a fondly regarded film in that respect. DC: Oh yeah, he's a terrific actor, and like I mentioned with Angus and Reggie, he's just been pigeonholed in this horror stuff. He's a fine actor who could do a lot of other things but... people, they look at you and they just put you in that one little compartment. CO: Absolutely. Did you ever see him in the double episode of Homicide: Life on the Street? He was marvellous in that. DC: Oh yeah. He also did an excellent episode of The X-Files, which was pretty amazing. He's a great talent. Well, there's my call. Great talking to you. CO: Well, thank you very much for your time. DC: Thanks so much for the support. You take care now. Our sincere thanks to Steve Hills from Eureka! Entertainment for setting the interview up, and to Don Coscarelli for sparing us the time and happily volunteering to go over our allotted 15 minutes and keep chatting until the next interviewer rang in. John Dies at the End will be released in the UK on Blu-ray and DVD on 17th February 2014 by Eureka! Entertainment.